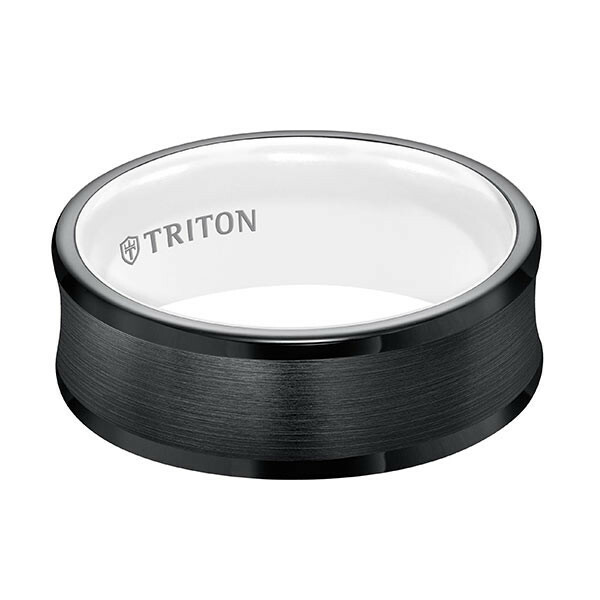 This men's wedding band that looks as good on the inside as it does on the outside is from Triton. 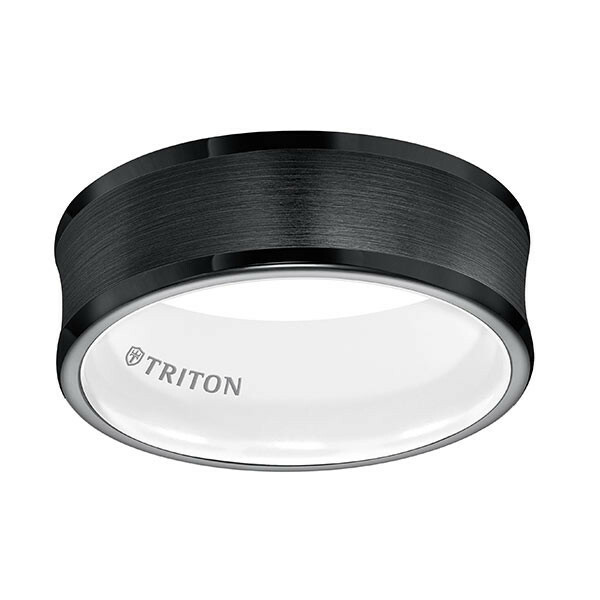 Crafted in black TungstenAIR, a hypoallergenic, durable and scratch-resistant performance metal, it features a distinctive bowl shape, satin finish and Arctic white interior. 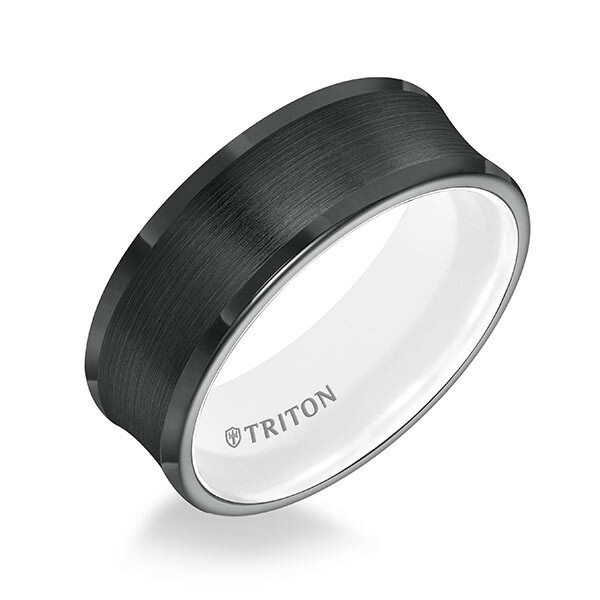 This 8mm Triton ring displays a distinguished design that will get you noticed and serve as a conversation-starter!